Back in August, I spent the good part of a Sunday updating my original unlocked iPhone 2G from 1.1.4 to 2.0.1 using Winpwn. Looking back, I actually had fun doing it because I was learning some of the intricacies of reviving (after sweating a couple of times) a bricked iPhone but it also took quite a bit of time. In September Apple released their 2.1 firmware and I decided to wait a while to make sure the appropriate updates would get into Winpwn. Yesterday I took the plunge. Based on a couple of posts on the Hackint0sh forum, it appeared that you could update a Pwned 2.x iPhone 2G directly with iTunes. Since I knew how to backtrack by reverting to a previous firmware version (I had saved all the files from my 2.0.1 experience), I did not think there was a big risk in trying the update with iTunes. It worked perfectly just like when I updated my AT&T locked iPhone 3G. Now I have a SIM unlocked iPhone 2G. Although it is not Jailbroken, I can run Quickpwn to perform that function. But right now I have no need to run Jailbroken applications so I will wait. 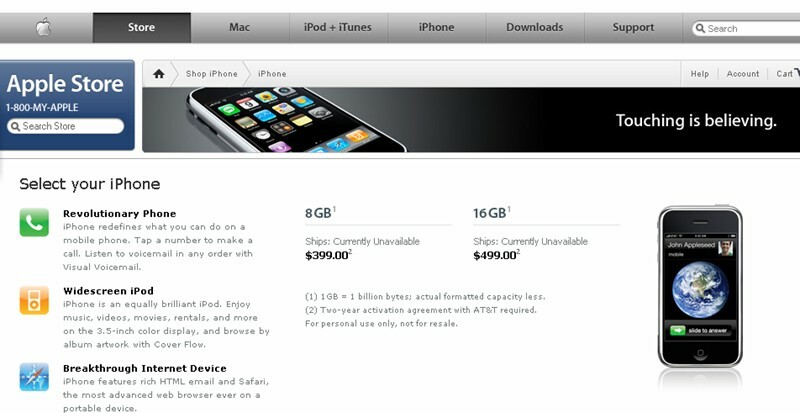 The rumors have been flying about the 3G iPhone and this weekend's unavailability of original iPhones at Apple's online store just spurred things on. Will Apple release the device in May, June or July? Well nobody but Steve Jobs seems to know, but everyone can reliably predict that an announcement will be made at Apple's World Wide Developers Conference June 9th - 13th. I think that pretty much rules out any May launch of the 3G Phone. Now all the pundits are debating whether the lack of inventory of the original iPhone was planned or a gaff. I think it was maybe a bit of both, but it really does not matter, it is a win win situation for Apple because they clear out their inventory with no markdowns and the pent up demand for the 3G phone will be that much greater. 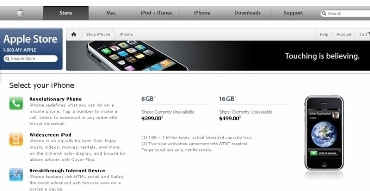 It is a fact that the 3G iPhone is coming, we just have to wait another month to know the exact date. The more interesting rumor however, is the potential big announcement of a MID, UMPC or tablet style computer and where that takes Apple. Working on a review of SBSH Mobile Software Pocket Weather.